This is my favorite time of year in the Disney Parks. The air is cool, holiday decorations are going up and all the fantastic, seasonal entertainment is ready to debut. And this year, our Creative Entertainment team has something new to unwrap! Since its premiere last January, our projection show “The Magic, The Memories and You!” has been wowing guests. Each night the show is presented, the faces of Cinderella Castle at the Walt Disney World Resort and “it’s a small world” at the Disneyland Resort have been transformed with magical special effects, animation and images of our guests captured by Disney PhotoPass photographers during the day. For the holiday season, we’re updating one of the segments of the show with a musical score filled with favorite holiday tunes and pictures of guests celebrating in the parks. 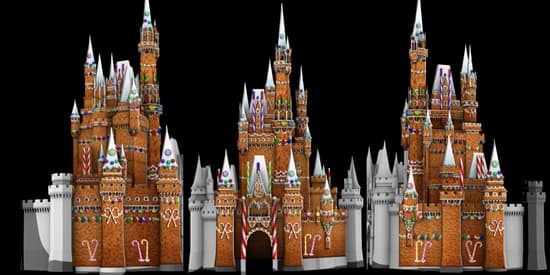 Starting tomorrow in Magic Kingdom Park, Cinderella Castle will appear to be wrapped in gift paper and bows, covered in candy stripes and more! These photos give you an idea of the fun in store. They’re of some of the actual mattes that will be projected on the surface of Cinderella Castle. “The Magic, The Memories and You!” art director, Tom Zofrea, created these images in such a way that, when projected from various points around the park’s Central Plaza, they produce the effect that the Castle is built from gingerbread. 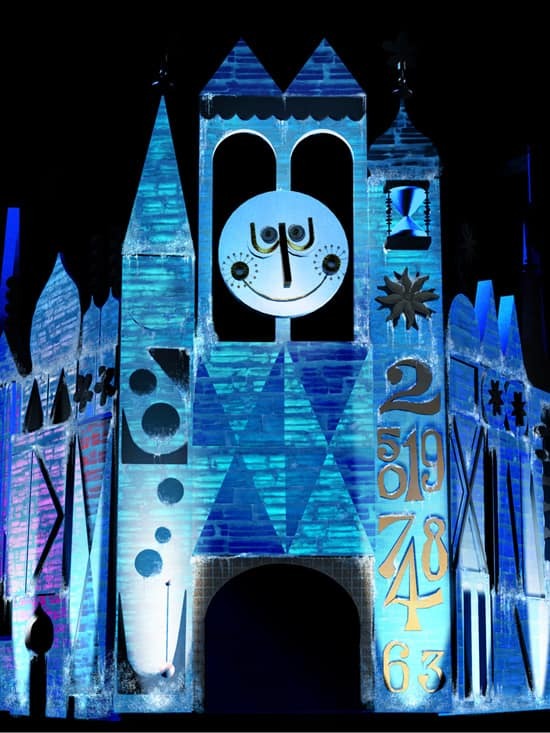 At Disneyland park, the holiday segment of “The Magic, The Memories and You!” begins Nov. 18, turning the façade of “it’s a small world” Holiday into a giant snow globe and an icy winter wonderland, among other surprises. The attraction will even get its own gingerbread treatment. Looks delicious! I have to admit when I first heard about the castle projections, I thought they were a horrible idea. However, having just returned from a truly fabulous weekend at WDW and attending our first Mickey’s Very Merry Christmas Party, I can say that the Magic, Memories, and You show and the icicle lights were the highlight of our trip – watching them while eating cookies and drinking cocoa just made it all the better!! We have been to WDW many, many times but never at Christmas. It was definitely a treat and a great way to kick off our holiday season. Anyword on when they will be taping the Christmas day Parade in WDW? I miss the Country Bears Christmas Show. Are they ever going to change the show for the holiday season again? We are going to Disney World Resort the day after Thanksgiving and I know that I am going to miss that show. all this will be thru holiday season meaning til December 31 or well after New Year’s? We were at the first Christmas party at Magic Kingdom and last night, and this show is SPECTACULAR!!!!! My husband liked it as much as the special wishes fireworks. Its fun and surreal at the same time. Very cool use of technology and imagination. Great addition to WDW entertainment! Will be there in 9 days with the grandson’s. Can’t wait! I am amazed and totally blown away by the illusion created on the castle. 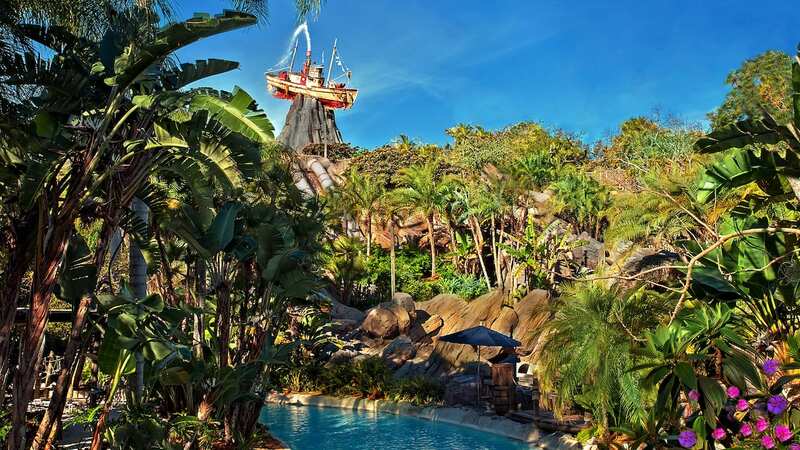 I hope to celebrate at Disney soon and look forward to this show being the icing on the cake for an incredible day in The Magic Kingdom park!! Wow I can’t wait to see video of the castle as a gingerbread house! look so good! Wish I was there. Um…there is no Magic, Memories, and You tonight. It’s a party night and the park closes to day guests at 7pm tonight. There isn’t even a time listed for it on the maps. What gives? We are heading down to Orlando this Saturday, November 12 for 10 days. Heading to Disney of course and looking forward to all the Christmas decorations. Kids are very excited. It will be our second in 2 years. I will be seeing it on its a small world the first day at dlr.. so excited!! i hope my daughter will get projected onscreen..
We had our 1st WDW Christmas trip last year and our three girl’s had a blast! We had so much fun we are going back this year and it is great to hear that there will be a new treat! Can’t wait till December 3rd!! Can’t wait to see it on November 18th !!!! I saw it a first time in June (on my birthday) and now, I’ll be sharing it with family and friends!!!!! I am so excited, can’t wait to get there, real soon??? This looks so amazing! I’m coming for my first Christmas WDW experience ever and I’m BEYOND excited!! The holiday segment for “The Magic, The Memories and YOU!” debuts tonight at 9:15 p.m. during Mickey’s Very Merry Christmas Party, but can also be seen every night the show is presented throughout the holiday season. Will this be Every night or just for the Mickeys merry Christmas extra thing? Will the Holiday MM&Y also be shown during MVMCP? Awww I will miss the decorated Small World by a week. Coming this weekend with the newly turned 5 year old grand daughter. Will the inside of Small World be set up with the Christmas display? And will Cinderella’s castle be decorated for the holidays? I see that the fireworks will be the holiday themed ones. Vicki, you’re in luck! “it’s a small world” Holiday opens this Friday, Nov. 11. After seeing The Magic, The Memories, and You! for the first time in August, I have to say that pictures and videos do not do this show justice. What an amazing experience! Rather than a diversion before Wishes, MMY is a full-blown spectacle…just awesome. While I don’t have a holiday trip planned, I’m hoping to get down to WDW to see the holiday show this year. And I hope to see this technology expanded and used elsewhere in the parks. I completely agree, Diana. It has to be seen to be believed! You’re coming at a great time. I hope you enjoy your holiday trips, and I know you’ll love the show! I NEED to see this show. Looking forward to my visit in December. It’s a beautiful time of year. The decorations are amazing.